opam - opam 2.0 preview release! We are pleased to announce a preview release for opam 2.0, with over 700 patches since 1.2.2. Version 2.0~alpha4 has just been released, and is ready to be more widely tested. This version brings many new features and changes, the most notable one being that OCaml compiler packages are no longer special entities, and are replaced by standard package definition files. This in turn means that opam users have more flexibility in how switches are managed, including for managing non-OCaml environments such as Coq using the same familiar tools. Sandboxed builds: Command wrappers can be configured to, for example, restrict permissions of the build and install processes using Linux namespaces, or run the builds within Docker containers. Compilers as packages: This brings many advantages for opam workflows, such as being able to upgrade the compiler in a given switch, better tooling for local compilers, and the possibility to define coq as a compiler or even use opam as a generic shell scripting engine with dependency tracking. Local switches: Create switches within your projects for easier management. Simply run opam switch create <directory> <compiler> to get started. Inplace build: Use opam to build directly from your source directory. Ensure the package is pinned locally then run opam install --inplace-build. Automatic file tracking:: opam now tracks the files installed by packages and is able to cleanly remove them when no existing files were modified. The remove: field is now optional as a result. Configuration file: This can be used to direct choices at opam init automatically (e.g. specific repositories, wrappers, variables, fetch commands, or the external solver). This can be used to override all of opam's OCaml-related settings. 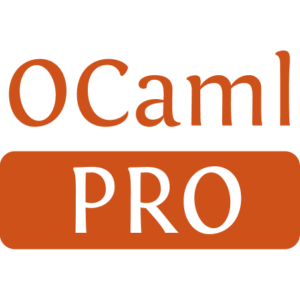 Simpler library: the OCaml API is completely rewritten and should make it much easier to write external tools and plugins. Existing tools will need to be ported. Better error mitigation: Through clever ordering of the shell actions and separation of build and install, most build failures can keep your current installation intact, not resulting in removed packages anymore. You are very welcome to try out the alpha, and report any issues. The repository at opam.ocaml.org will remain in 1.2 format (with a 2.0 mirror at opam.ocaml.org/2.0~dev in sync) until after the release is out, which means the extensions can not be used there yet, but you are welcome to test on local or custom repositories, or package pinnings. The reverse translation (2.0 to 1.2) is planned, to keep supporting 1.2 installations after that date. The documentation for the new version is available at http://opam.ocaml.org/doc/2.0/. This is still work in progress, so please do ask if anything is unclear. Commands opam switch and opam list have been rehauled for more consistency and flexibility: the former won't implicitly create new switches unless called with the create subcommand, and opam list now allows to combine filters and finely specify the output format. They may not be fully backwards compatible, so please check your scripts. Most other commands have also seen fixes or improvements. For example, opam doesn't forget about your set of installed packages on the first error, and the new opam install --restore can be used to reinstall your selection after a failed upgrade. packages definition are automatically converted when you pin a package. 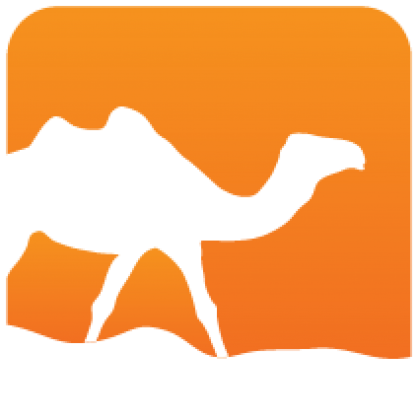 Note that the ocaml package on the official repository is actually a wrapper that depends on one of ocaml-base-compiler, ocaml-system or ocaml-variants, which contain the different flavours of the actual compiler. It is expected that it may only get picked up when requested by package dependencies. Let's go then -- how to try it ? First, be aware that you'll be prompted to update your ~/.opam to 2.0 format before anything else, so if you value it, make a backup. Or just export OPAMROOT to test the alpha on a temporary opam root. Or from source, following the included instructions from the README. Some files have been moved around, so if your build fails after you updated an existing git clone, try to clean it up (git clean -fdx). Generated from opam-2-0-preview.mdusing opam2web, courtesy of OCamlPro. Commercial support.